Buy one of the qualifying lenses in the list below between 1 April and 28 July 2019 to enter the lucky draw! If you bought one of these lenses between 1 January and 30 March 2019, you can also enter the competition by sending a copy of your original invoice to [email protected] with your name, surname and contact details. High-performance super-telephoto lensFeaturing a flexible 200-400mm focal range, with 4-stop optical.. 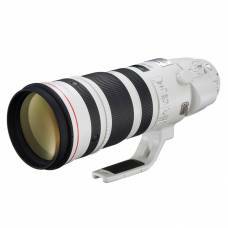 The EF 300mm f/2.8L IS II USM Lens from Canon is the perfect choice for nature, wildlife and sports .. Exceptional L-series optical quality and extremely light-weight design make this a great pro sports lens. Portable, lightweight designThe EF 400mm f/4 DO IS II USM is smaller and lighter than a conventional..
A super telephoto lens that delivers sharper images with less chromatic aberration & weighs less. The perfect super-telephoto lens for wildlife and bird photography with a light-weight design and 5-stop IS.